MintSquib Joins the Events Department! Thread: MintSquib Joins the Events Department! 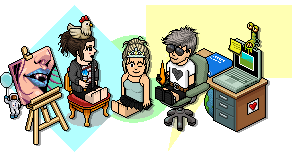 Welcome MintSquib to the Events Department, and to Habbox! I hope you enjoy your time here, and I look forward to working with you! Please contact myself or FlyingJesus if you are interested in joining our ever-growing department!